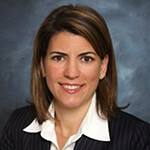 Amanda DePalma is the Head of Global Marketing, Ultrasound at Philips where she is responsible for strategic planning, global marketing and marcom/digital. Amanda has over 20 years of experience in medical device marketing and sales, specializing in strategic planning, new product development and commercialization. She has worked for Endologix, Edwards Lifesciences, Kimberly-Clark Healthcare and Guidant. Amanda is passionate about bringing together high performing teams that are relentless in their pursuit to improve patient outcomes. She holds a BS in Marketing and an MBA from the University of Florida. Moderator, MedtechVision 2017 – Panel 2: Opening the Healthcare Tent: Will New Entrants Distract or Disrupt?